Chemists at Carnegie Mellon University have demonstrated that synthetic nanoparticles can achieve the same level of structural complexity, hierarchy and accuracy as their natural counterparts – biomolecules. The study, published in Science, also reveals the atomic-level mechanisms behind nanoparticle self-assembly. 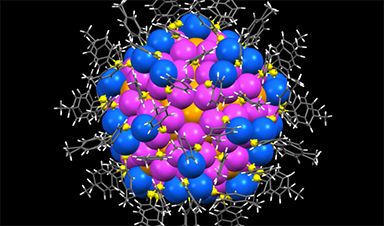 “Most people think that nanoparticles are simple things, because they are so small. But when we look at nanoparticles at the atomic level, we found that they are full of wonders,” said Jin.